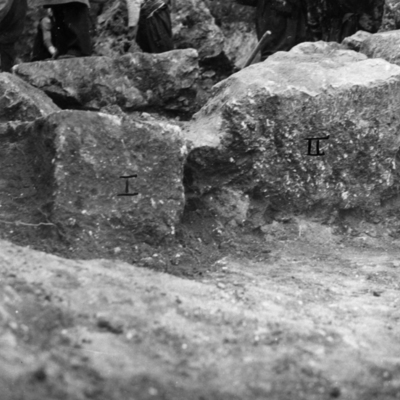 Detail of excavations at base of bust. 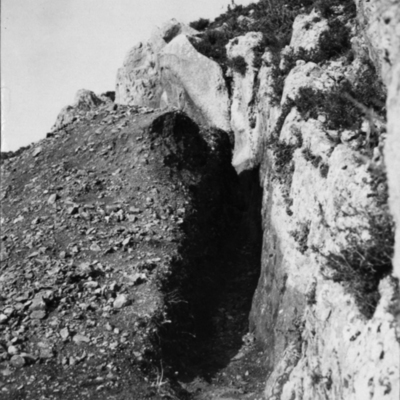 Profile of large head from "slot-like" trench. 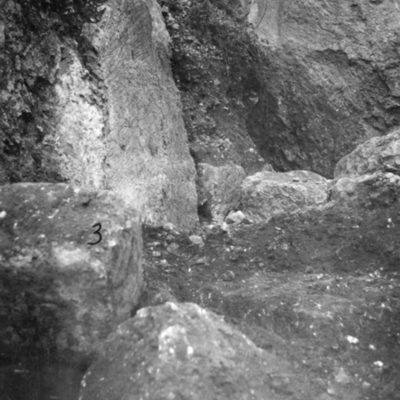 General view of excavation later level. 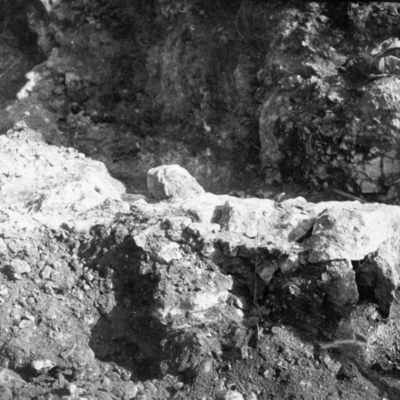 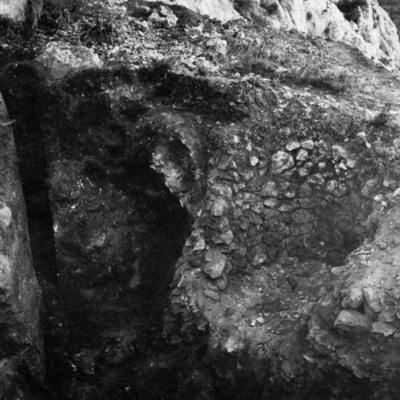 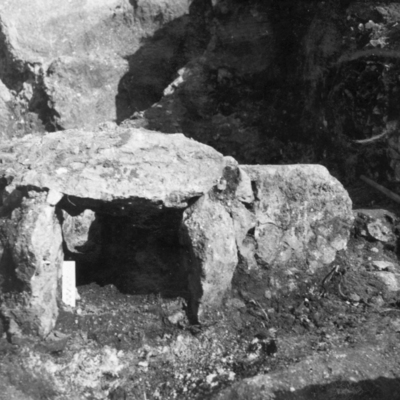 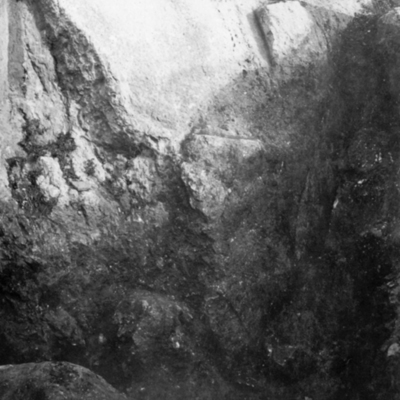 General view of excavation later level after cleaning. 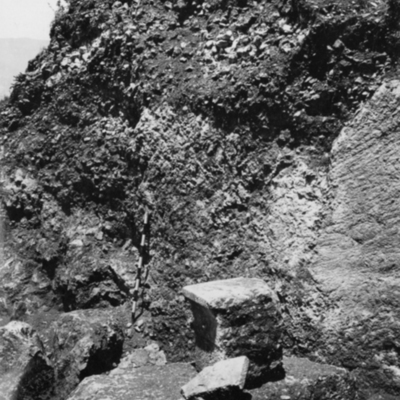 General view of lime-kiln flue. 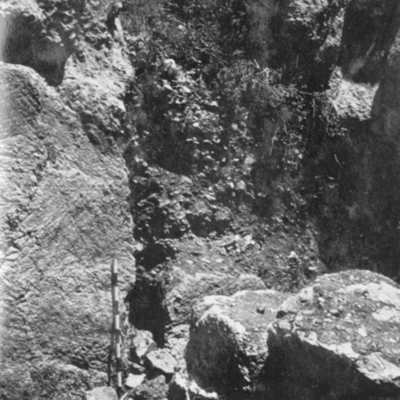 Possible wall with blocks in situ near outer limit of change. 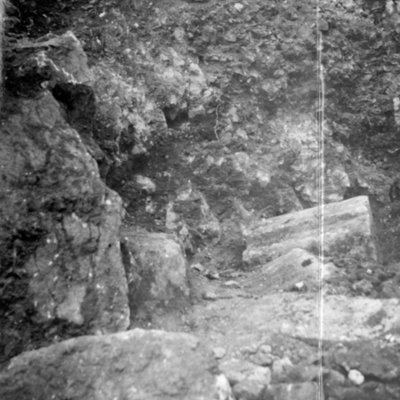 Floor of trench after cleaning. 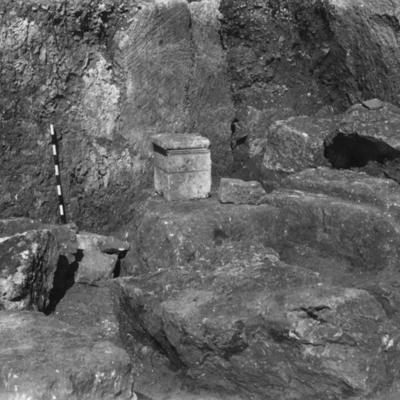 Partly quarried blocks and a corner architrave block. 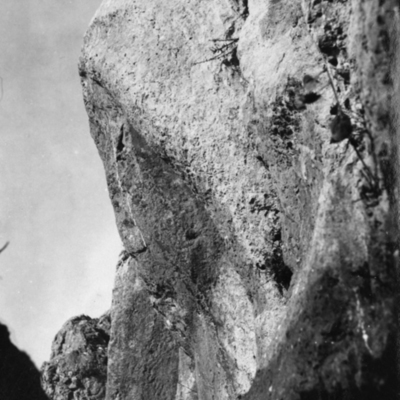 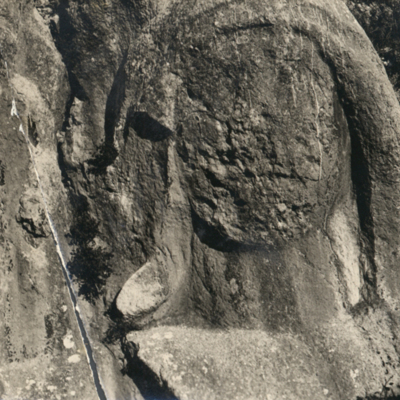 Profile of bust showing cleft in the rock. 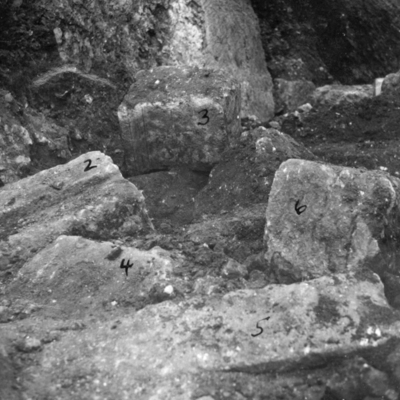 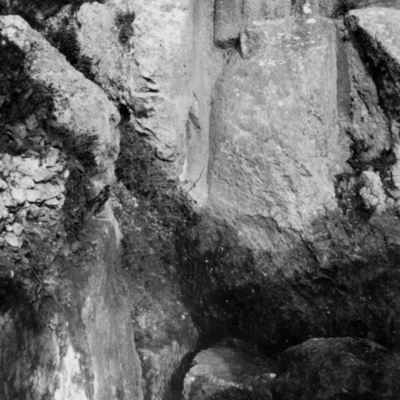 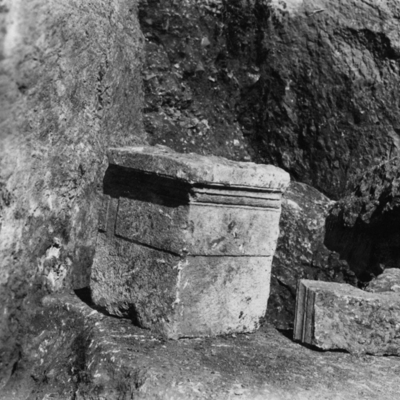 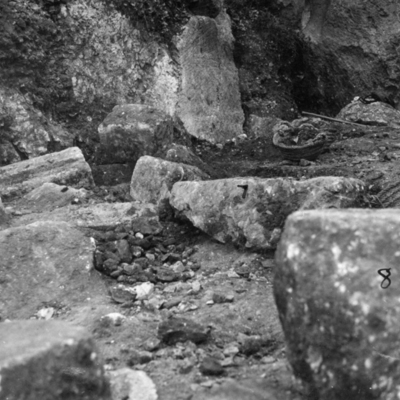 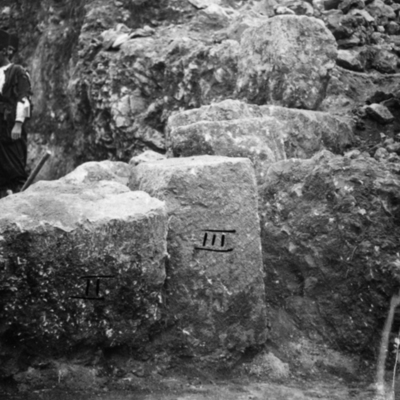 Detail of partly quarried blocks below figure. 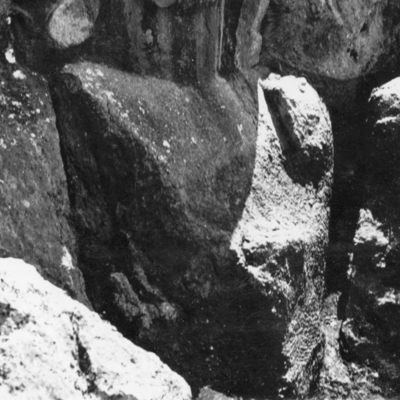 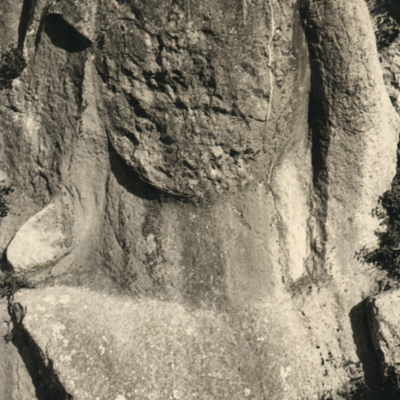 Detail of neck and chest with cleft in rock. 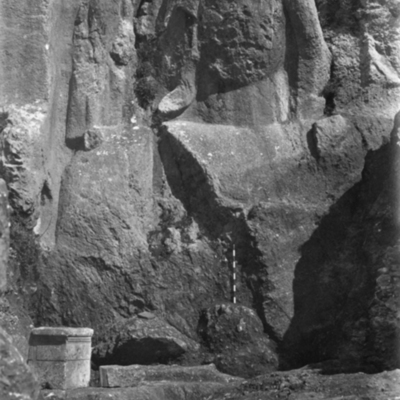 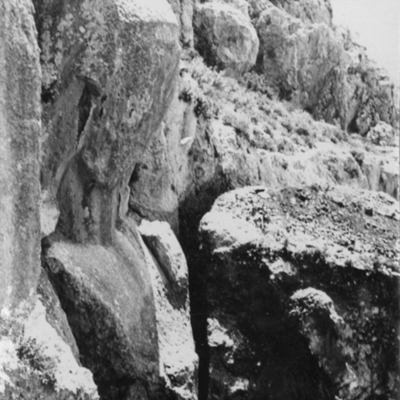 General view of bust and cliff.